A reconnaissance airplane almost crashed in April, endangering the lives of 27 airmen aboard the plane — all because a retaining nut connecting oxygen tubing was not tightened properly, accident investigators have determined. The report blamed a private defense contracting company for the accident. “Failure by L-3 Communications depot maintenance personnel to tighten a retaining nut connecting a metal oxygen tube to a junction fitting above the galley properly caused an oxygen leak. This leak created a highly flammable oxygen-rich environment that ignited,” U.S. Air Force investigators wrote in report published August 3. 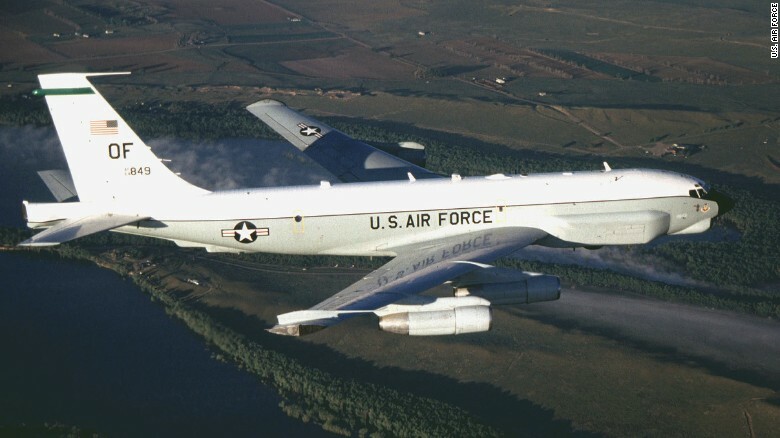 Investigators determined the ensuing fire caused $62.4 millon in damage to the RC-135U, which electronically snoops on adversaries and relays gathered intelligence to commanders. L-3 Communications spokesman Bruce Rogowski declined comment and referred questions to the Air Force. The plane, which was about to take off on a training mission from Offutt Air Force Base in Nebraska on April 30, instead skidded to a stop on the runway. All 27 crew members made it off safely, The Omaha World-Herald reported. The World-Herald first obtained the report through a Freedom of Information Act request. A former pilot contacted by the paper estimated that had the plane taken off, all 27 crew members could have died in an ensuing crash. The Air Force has 17 RC-135Us in its fleet. One of them was intercepted by a Russian SU-27 jet over the Baltic Sea earlier this year in an incident that drew strong criticism from the Pentagon. The U.S. crew believed the Russian pilot’s actions were “unsafe and unprofessional due to the aggressive maneuvers it performed in close proximity to their aircraft and its high rate of speed,” Pentagon spokesman Mark Wright said in April.